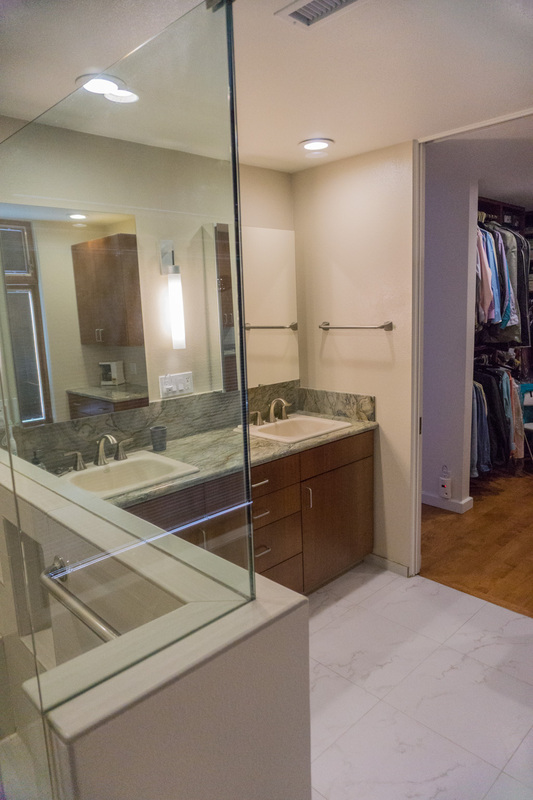 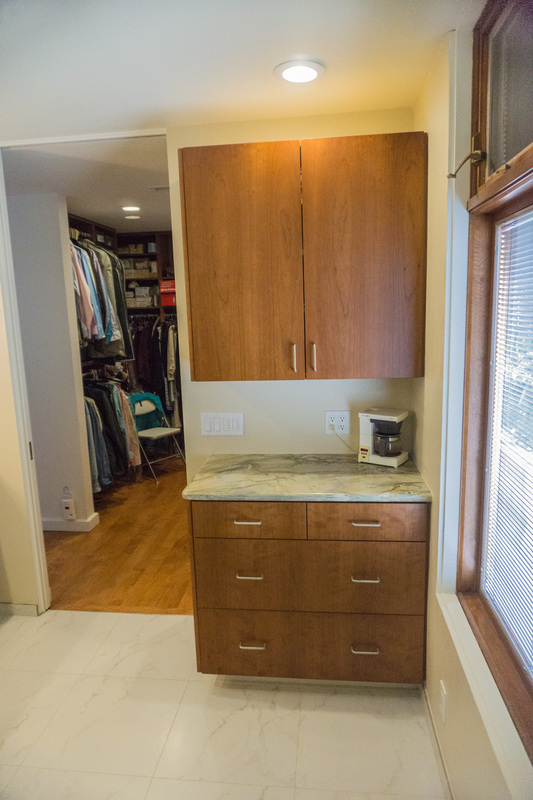 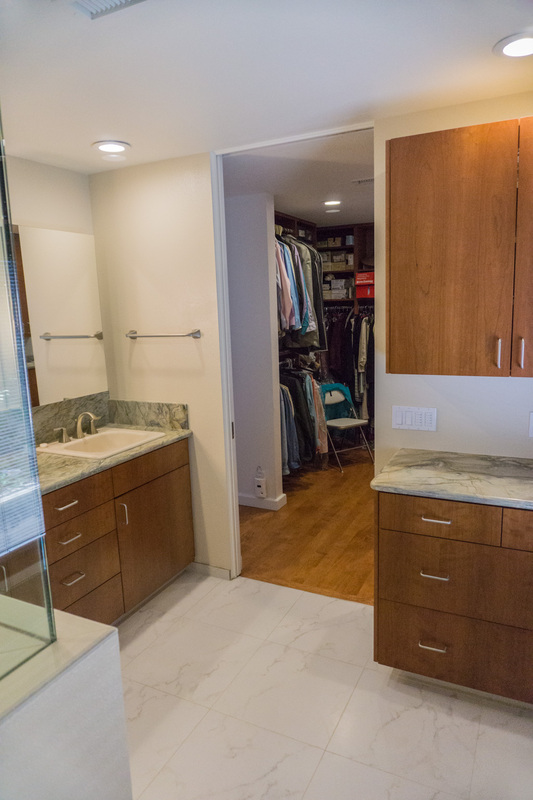 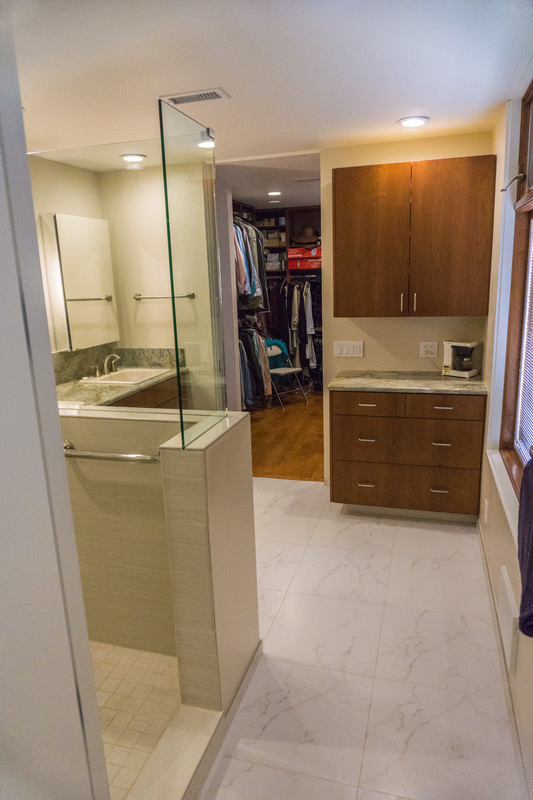 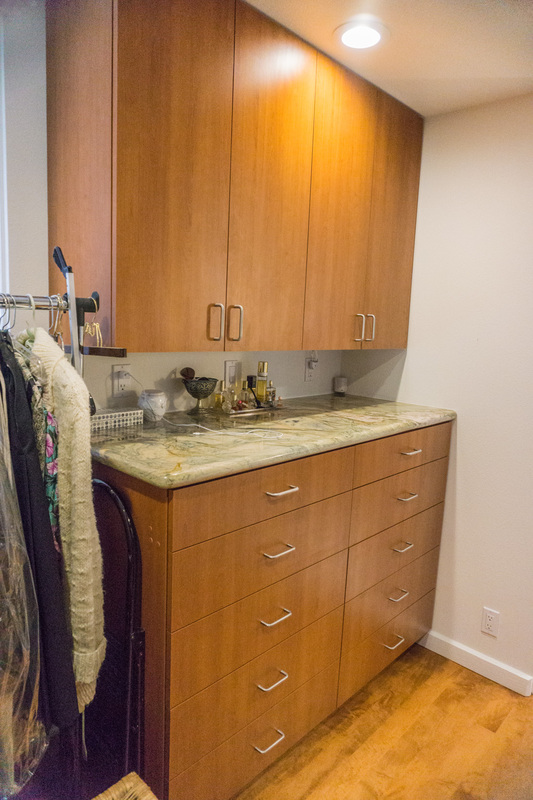 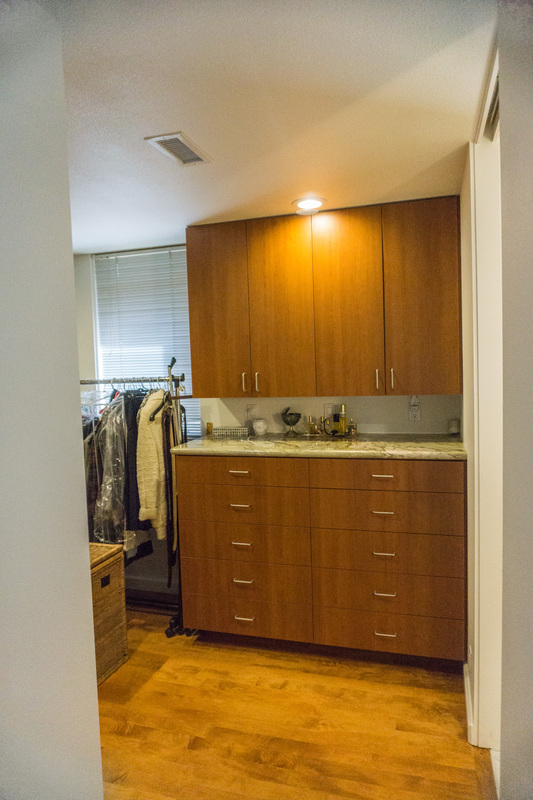 We added cabinets for linen and towel storage and the morning coffee pot in the opposite corner from the sinks, as well as matching cabinets in the closet with drawers. 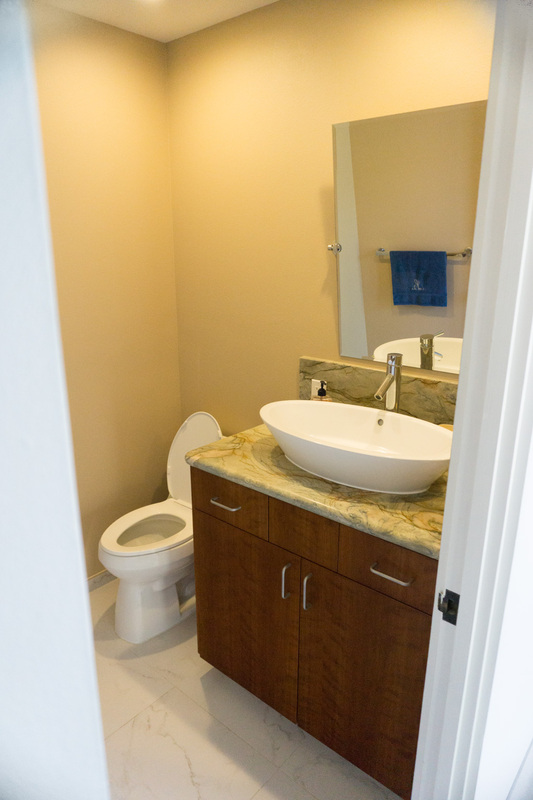 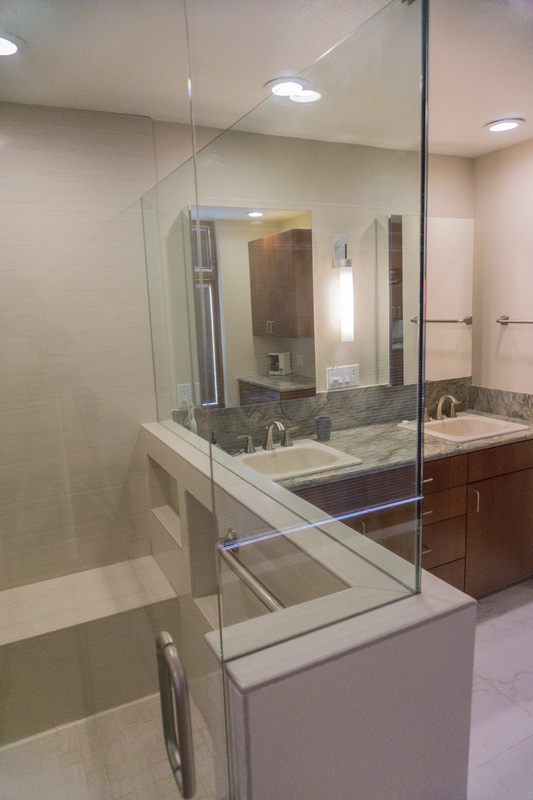 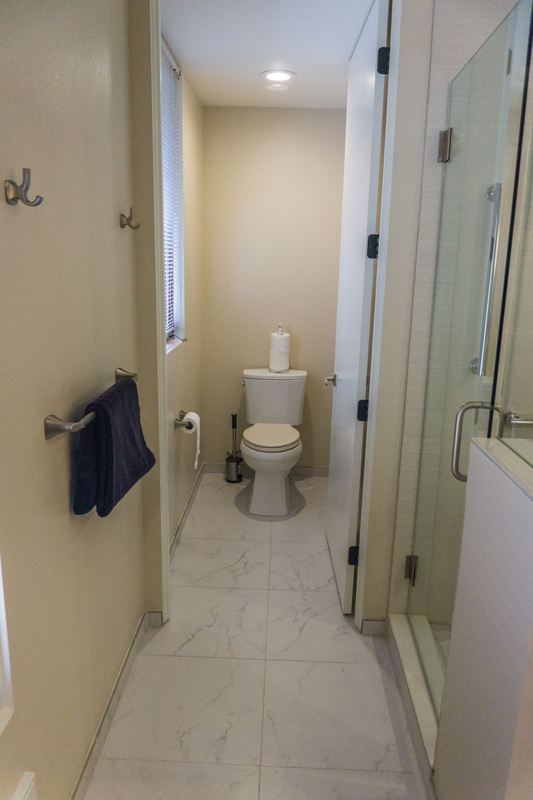 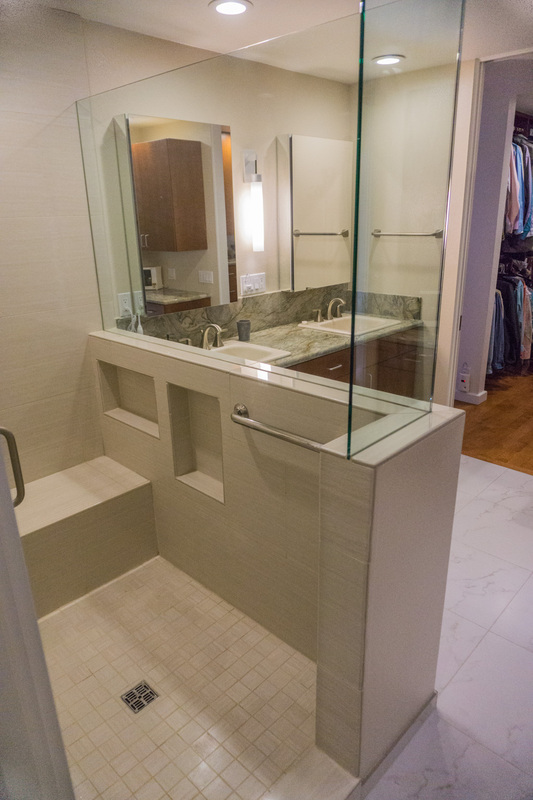 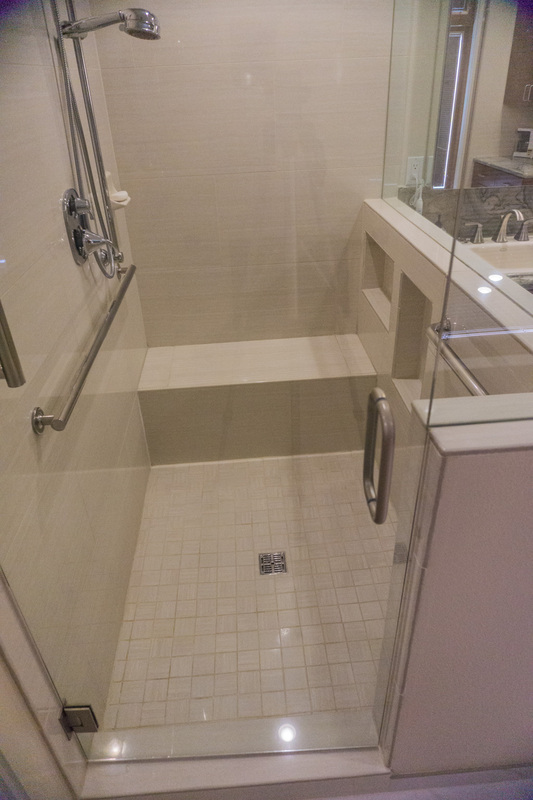 A larger shower with full seat was a priority for this client, as were the two sinks. 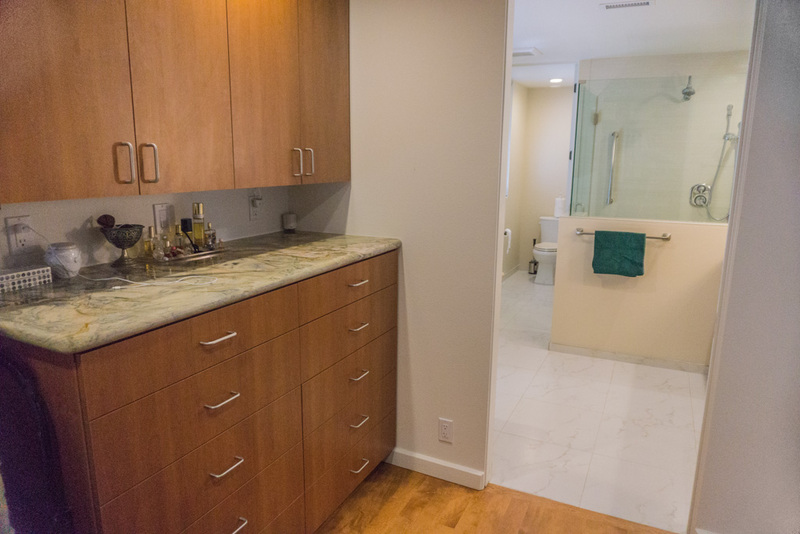 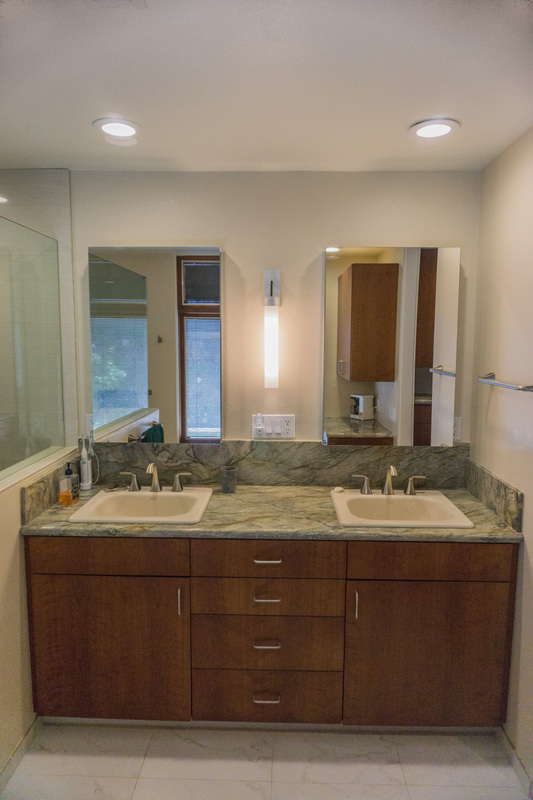 They opted for Kohler medicine cabinets above the sinks rather than wall cabinets you will see in many of my other functional baths. 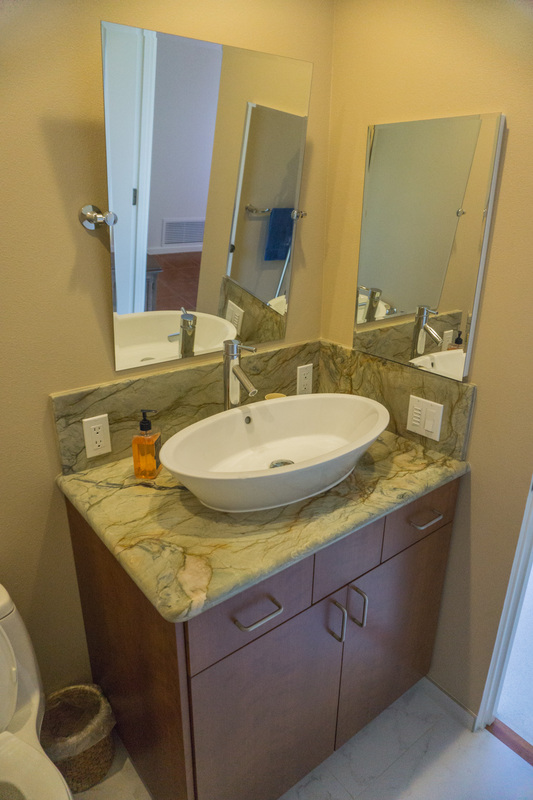 As you can see from the picture, that leaves a few items on the counter top like the electric tooth brush, but overall it is a look the client preferred. 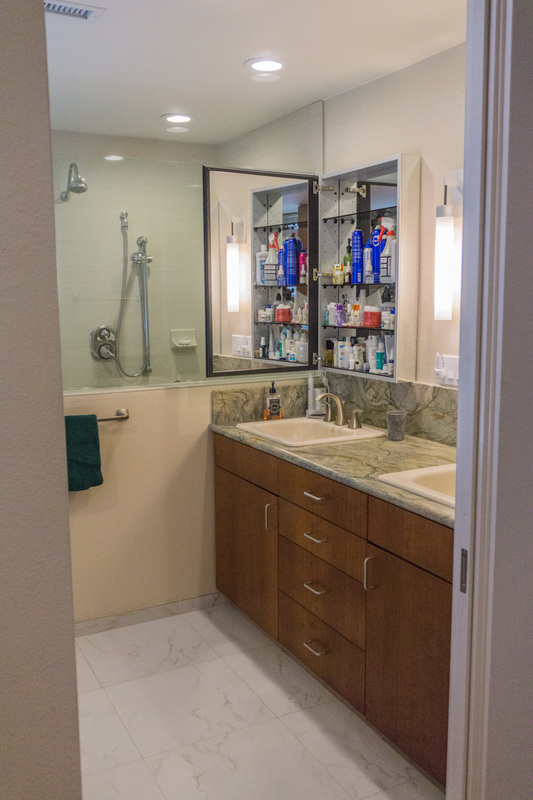 The shower area is big with a deep seat the full width of the shower, and as I normally suggest, the recessed shampoo shelves are on the back side of the partition wall rather than visible on the main shower walls, so we see the beautiful tile, not the clutter on the shelves. 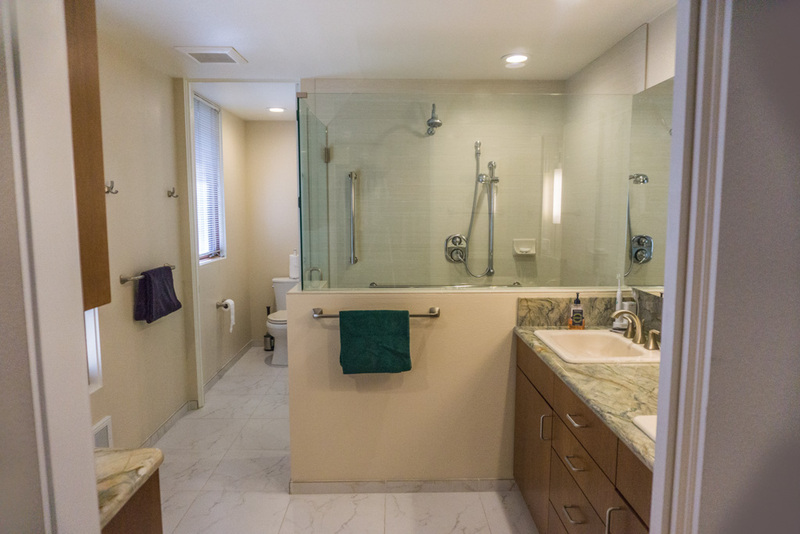 They have two shower heads one fixed head and one handheld with a diverter valve to switch between the two. 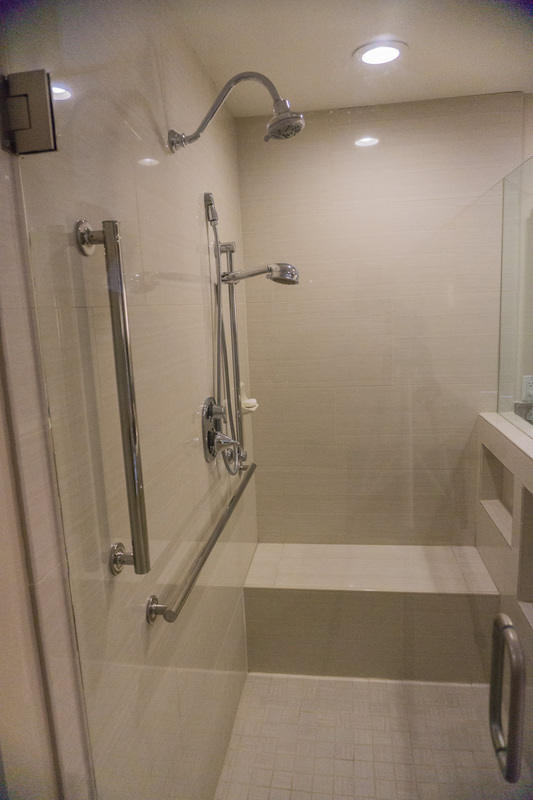 The shower also has grab bars that double as washcloth holders. 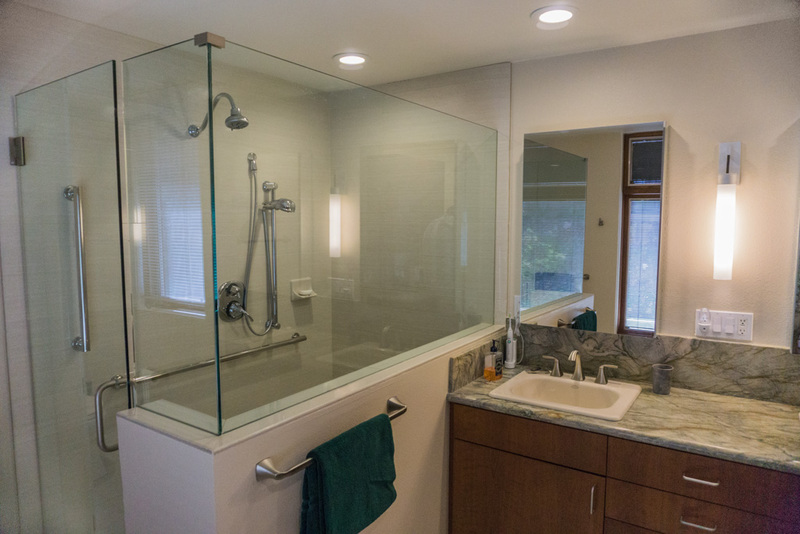 This shower does have more glass than many of the baths you will see in my portfolio, but this client preferred the look of it. 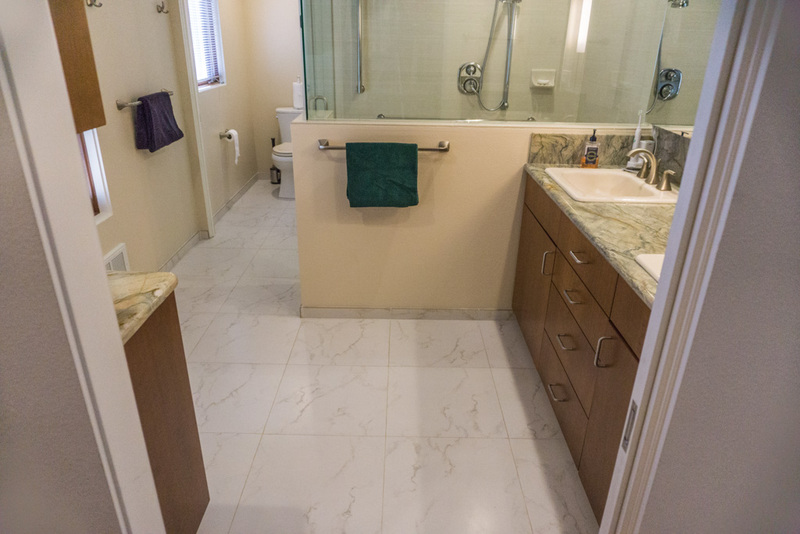 Like most of my baths, this one has good venting on timer switches and an on-demand heater, also on a timer switch, keep the room both warm and dry. 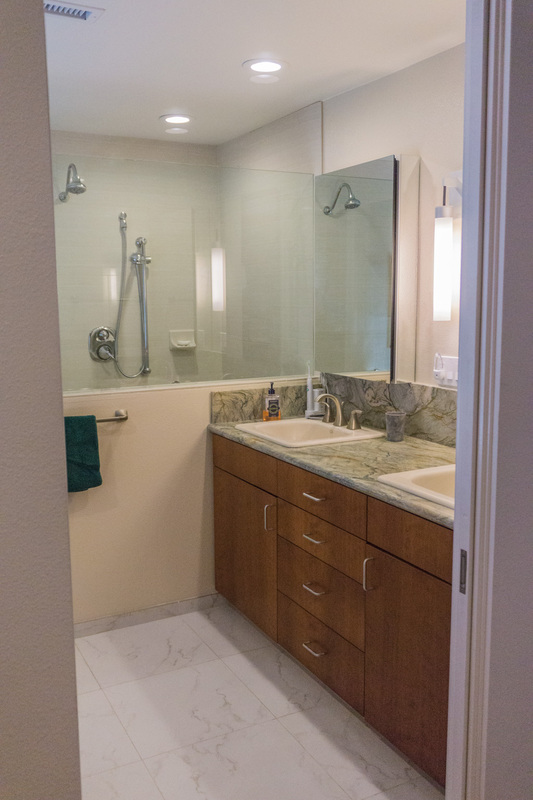 The LED recessed ceiling lights on dimmer switches combined with the existing larger-than-normal windows for a bath keep this room well lit both day and night.